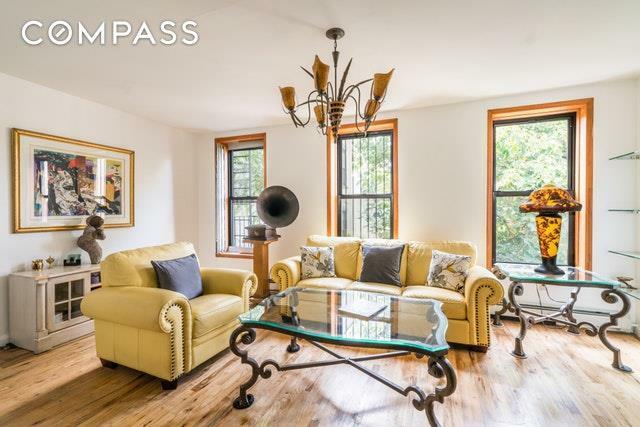 Come home to this sprawling floor-through, two bedroom condo in an intimate building located in the heart of Bedford-Stuyvesant! Enjoy more than 900 sqft with high ceilings, fresh hardwood floors, an open layout and multiple windows that lighten up an expansive living room with an inviting eat-in kitchen. Tucked away in a tasteful corner are connections for a vented Washer & Dryer. Facing east are two beautiful bedrooms, both with large windows and excellent lighting coupled with spacious closets and enough floor space for a king size bed.The bathroom is unique with its striking color contrasts with a marble floor, a uniquely designed sink and a relaxing Jacuzzi tub. 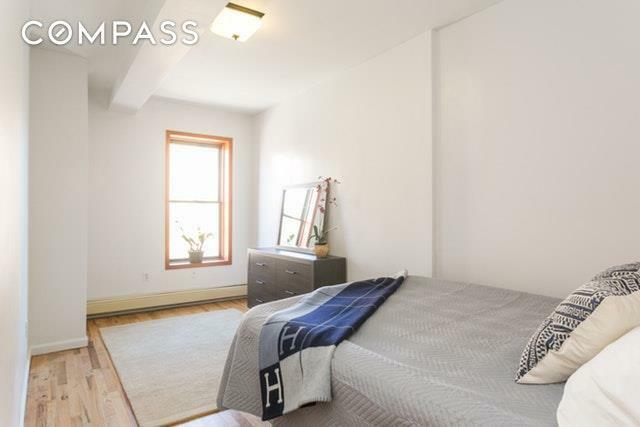 Located 5 minutes away from the A/C Train, which can take you to Downtown Brooklyn in one stop or Downtown Manhattan in four stops, this spacious home is conveniently located 15 min away from Prospect Park, the Brooklyn Museum, and the Brooklyn Children's Museum. 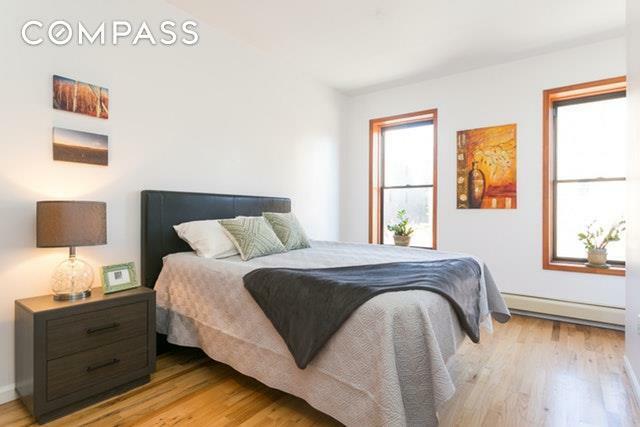 No pet restrictions, an easy approval process, and low monthly costs all combine to make this a wise investment property. 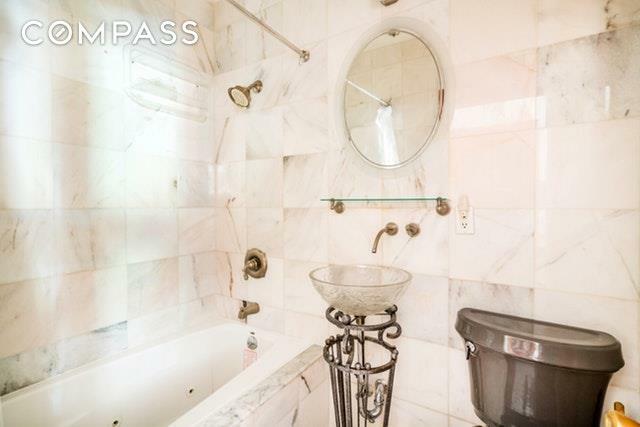 Listing courtesy of Robert Bell of Compass.